The April 2015 Gorkha earthquake in Nepal killed more than 8,000 people and injured more than 21,000. 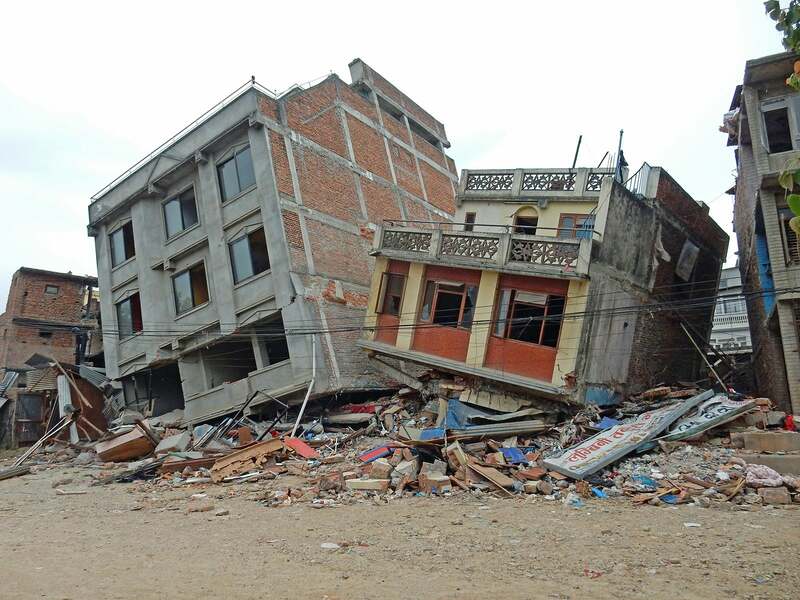 With a magnitude of 7.8, it was the worst natural disaster to strike Nepal since the 1934 Nepal-Bihar earthquake. Researchers Kelin Whipple, Manoochehr Shirzaei, Kip Hodges, and Ramon Arrowsmith of ASU’s School of Earth and Space Exploration were quick to begin analyzing the data from this quake. Their findings have been recently published in Nature Geosciences. A 3-D perspective view (to the northwest) of the Nepal Himalaya from Google Earth (2x vertical exaggeration). India is thrust under the Himalaya at the active frontal thrust. A key debate has been whether this thrust steepens under the High Himalaya or if there is a second active fault at the foot of the High Himalaya (dashed line), as argued by ASU researchers. “Within hours of the event, it was clear from seismic data that the main rupture had occurred on a gently sloping thrust fault, but just 10 days later InSAR data was suggesting a more complex scenario — and a possible resolution of an old debate,” said Whipple. The earthquake uplifted the foothills around Kathmandu (KTM) (warm colors) and down-dropped the High Himalaya (cool colors), except for the highlighted uplift anomaly associated with slip on the secondary thrust. Elevation change determined by InSAR. Epicenters of the mainshock and three large aftershocks shown with red stars.